Silicon Vikings is a 45,000+ network that connects Nordic and Baltic Innovation with Silicon Valley and vice versa. 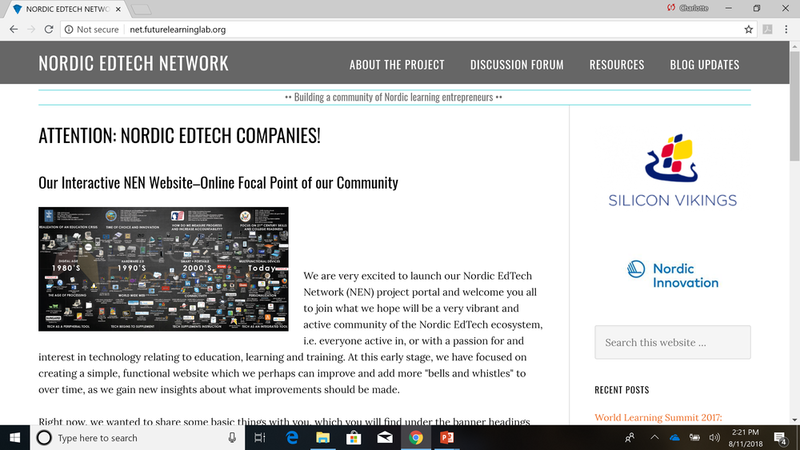 We are a nonprofit organization that has been headquartered in Silicon Valley since 1997 with nodes throughout the Nordic and Baltic region and we act as a bridge between regions. We organize approximately 20-25 events in the Bay Area each year in addition to cross-border events with our nodes and partners in the Nordics to better connect the two regions. We organize pitching events and pitching competitions in the Nordics/Baltics & in Silicon Valley. Branding of the Nordics as leaders in innovation is also a central part of what we do through our events, publications, and via social media. For 2019, competitions will be held in February and March. We are also expanding the competition to the Baltics as well and will hold competitions in Sweden, Norway, Finland, Denmark, and Latvia. The 2019 National competition for Sweden will be held at Connect2Capital in Gothenburg and for the Baltic Region will be held at TechChill in Riga, Lativa.